Epoches Luxury Suites is located in the center of Koryschades, a traditional and historic village with the most beautiful square in Evritania. 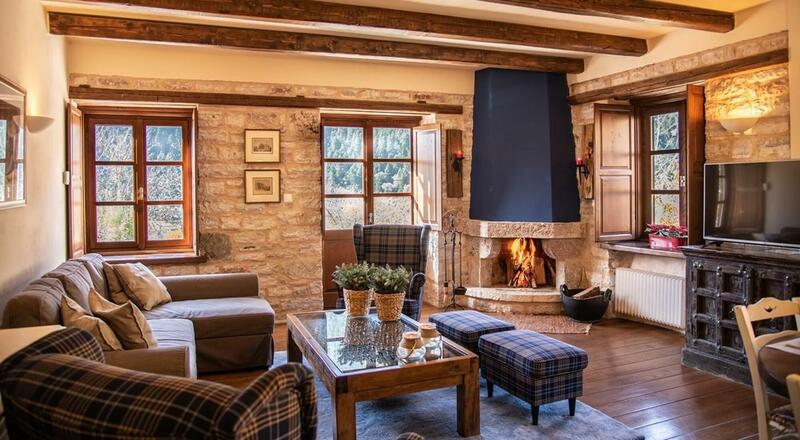 Built according to the local architecture, it combines traditional materials such as wood and stone, earthy colors, traditional furniture and Greek authenticity. Four kilometers from Karpenisi, in the historic village of Koryschades, Epoches Luxury Suites offers four luxurious manor houses with great views. Their design impresses you instantly. The authentic combination of stone and wood matches perfectly with the local architectural tradition, the rare natural beauty of the area and the long history of the place. Set among the wild beauty of Evritania, at the foot of Mount Velouchi, Epoches Luxury Suites' location is ideal to explore Karpenisi and the surrounding areas. A wide range of activities will fill you with energy and unique experiences. 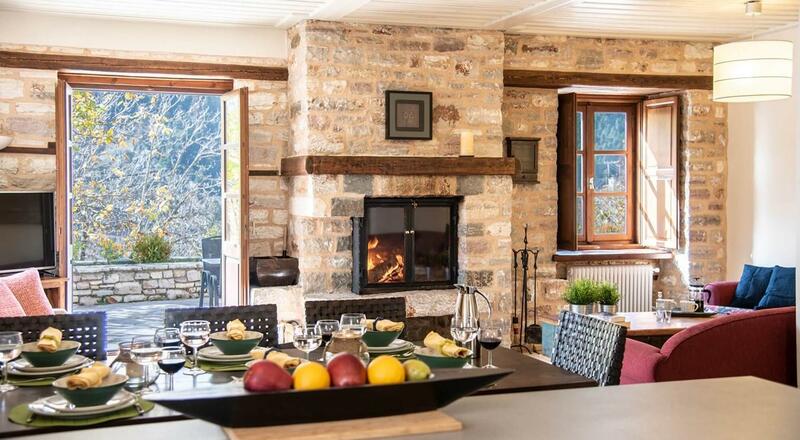 Epoches Luxury Suites offer accommodation at the picturesque village of Koryschades, near Karpenisi. It is comprised of 4 manor houses built with stone, in accordance with the traditional architecture. 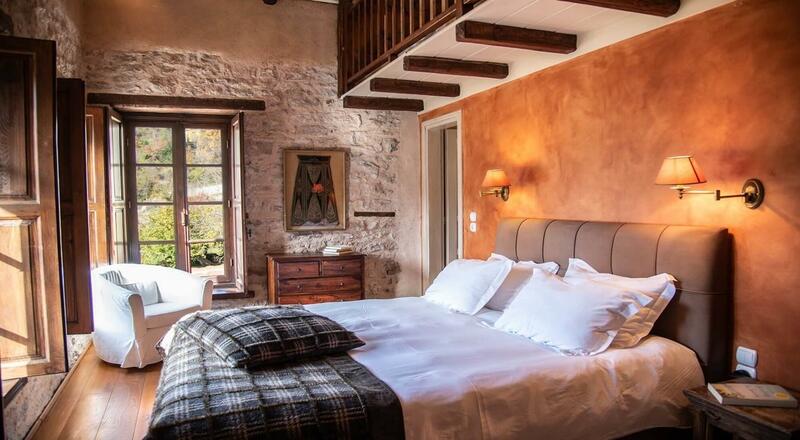 Guests may book the entire house, individual suites or rooms. The name of each house is inspired by the 4 seasons of the year. As seasons are distinct in Evritania, each house is unique in terms of size, color as well as decoration. However, they all blend together with one another, in complete harmony with the environment. Villaggio Restaurant lies within a stone's throw from Epoches Luxury Suites. Right in the center of Koryschades, it offers authentic flavors, according to the local culinary tradition. All dishes are prepared with pure local ingredients of the finest quality. According to UNESCO, Evritania ranks first in terms of environmental purity in Europe. The nature of Karpenisi is ideal for a wide range of activities, such as hiking, skiing, rafting, canoeing and horseback riding.